We all want our jewelry to be absolutely clean and with as little hassle as possible. We want our gemstones to shine bright, our gold ornaments to gleam like they have never done before and our silver accessories to sparkle like stars.No one wants to spend a lot on jewelry cleaning, especially after spending a fortune in buying it. No one can resist falling in love with the sparkle, but gradually the sparkle fades, and so does the love. This usually happens when you wear a piece of jewelry very frequently or if it is kept inside the jewelry box for a prolonged period of time. With time, silver starts developing a dull looking tarnished feeling which then makes the jewelry look unattractive. Gold does not tarnish like silver does, but with due time dirt starts getting accumulated making gold ornaments too defaced to wear again. Below mentioned are a few home remedies that you can try to clean your jewelry and make it look as good as new. How to clean jewelry with household products and without spending money? Ammonia is mainly used to clean the floors but it is a good home remedy for cleaning your jewelry as well. It works especially well with diamonds and gets them cleaned without bringing any harm to them. How to use ammonia to clean your jewelry: The ingredients that you would need are one-fourth cup of ammonia and a cup of lukewarm water. Mix these ingredients in a bowl or a jar. Take the jewelry that required cleaning and place it in the bowl or the jar. Let the jewelry sit there for 15-20 minutes – not more than that as ammonia can be corrosive. After soaking it for some time, take a used toothbrush with soft bristles and very gently scrub the jewelry to remove any leftover grime or dust. Make sure to pay attention to the nook and corners of the jewelry as that is usually where dust and grime settles. Ammonia can sometimes be too caustic, although it is a pretty powerful cleaner. You need to remember to not use ammonia to often to clean your gold jewelry, otherwise the gold will start wearing off. Ammonia is a good remedy for cleaning your accessories and jewelry occasionally. One word of caution, ammonia should never be used to clean jewelry that contains pearls or platinum. Vinegar is apt as a jewelry cleaner. It can be used to clean nearly everything. But it can turn out to be boon for gemstones and gold. A note to make, you should only consider using white vinegar and not any other sort. Pour some white vinegar in a bowl or a jar. Pour just about enough to cover all the jewelry that you want cleaned. Keep your jewelry soaked in the bowl or jar for around 15 minutes. Keep moving the products so the vinegar can penetrate every corner and also because you need to agitate it every now and then. Once your 15 minutes is up, take a soft bristled brush and keep scrubbing the jewelry very gently to remove all the dirt and grime from every corner. In case you want to clean pure silver jewelry, you can mix 2 tablespoon of baking soda with half cup of white vinegar and keep your jewelry soaked for 2-3 hours. Pull the silvers out and they will look as good as new. Toothpaste is one of the most effective jewelry cleaners that you can afford without spending a hefty amount of money. Toothpaste is mostly effective when you want to clean your jewelry on the go and you might not have access to other easily available home ingredients. This paste can be a wee bit abrasive. It works directly to get the the grime and dirt out. In case it doesn’t, you can try brushing the jewelry gently with a soft bristled brush. You can scrub extra with this brush for added cleanliness. In case you start seeing scratches on the jewelry, then it might be because of the brush and not the toothpaste itself. You can use your hand to scrub in that case. Take the paste in a cloth and apply it by hand. You can also opt to scrub with just toothpaste without mixing it with water. The only downfall being the fact that it would be difficult to reach the small gaps and crevices then. Even though toothpaste is a little abrasive, it won’t cause any damage to your jewelry. Rinse the jewelry well after cleaning it. 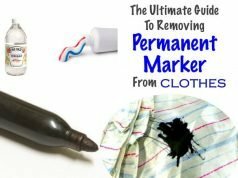 You can use this method to clean your most frequently used pieces, the ones that you wear often and need quick cleaning; especially while traveling. One thing to keep in mind is that you can’t boil every type of jewelry. For example, solid gold can be boiled, but gemstones like moonstones, coral, pearls and opals cannot be. 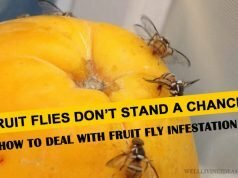 They might just crack or become permanently damaged. You might not want to take such a risk. One more thing that you need to make sure of is that nothing is glued in your jewelry, it might come off and that the gold that you are putting in water is not cold. It would be wise to use this home remedy if and only when nothing else seems to work. You can use this as your last resort to get your jewelleries cleaned. Take some water in a pot just enough to soak all your jewelry and boil the water. While your water boils, take a sturdy vessel which won’t be affected by hot water and put your jewelries inside it. Metal or Pyrex cooking bowls are a good choice for this. Place the jewelry pieces in a way that water is able to reach each of them; make sure to not overlap any jewelry. Slowly and carefully pour the boiled water onto the dish. When you have submerged all the pieces, stop pouring. Let the water cool down to a stage when you can put your hand inside comfortably. Remove the jewelry and start scrubbing it with a soft bristled brush. Once done, dab it with a soft towel and then let it sit and air dry itself. Don’t panic if you see a dirty water, its actually good. Dirty water means your jewelry has been cleaned well. Have your gold ornaments lost their sheen and have the diamonds lost their sparkle with time? Antacids that we generally take during a case of heartburn or acidity can also be used to clean your jewelry. This home ingredient is easily available. 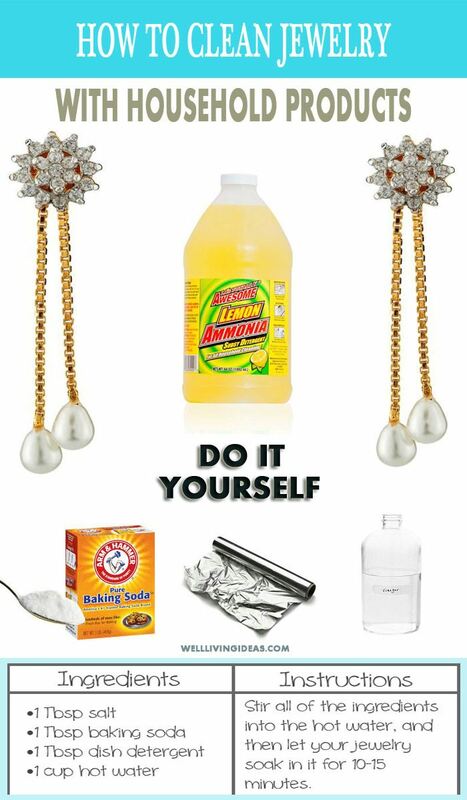 This is a great DIY home remedy for cleaning fake jewelry. It would be better if you use the type of antacid that works as an effervescent solution as the bubbling and fizzling will in fact help the jewelry to get cleaned properly. Take one glass of lukewarm water and put two antacids into the water. Let it start fizzing. Take your jewelry and place it inside the glass and make sure it is completely submerged. Let the pieces sit in the water for some time. Remove the jewelry after that and rinse it off with water. Gently dry it off with a soft material. Aluminium foil is responded pretty well by tarnished jewelry, especially silver jewelry. For this home remedy, you need to take a tray and cover it with aluminium foil. Put all your tarnished and dirty jewelry on top of the foil. Mildly coat each of the jewelry pieces with some baking soda. Sprinkle the baking soda on top of these jewelry pieces. Next, pour a few cups of water on a vessel and boil the water. Once boiled, pour the hot water very gently on top of the jewelry coated earlier with baking soda. The reason why the aluminium foil is used is because it takes off the tarnish from the jewelry. It just picks the dirt off of it. The best way to carry out this remedy is to repeat the process on both the sides individually. First, pour the water on one side, let it soak and then turn the jewelry on the other side and repeat the same process. This will help in getting all the dirt off the product, leaving it pristine clean. A process named ion exchange is made use of in this home remedy. This process is sometimes also used to clean any kind of silverware. Once you are done repeating the process on both sides of the jewelry, take the pieces out and gently rinse them with lukewarm water. Dry them off with a soft cloth later. This is a very useful jewelry cleaner recipe. Soap and water is a traditional approach to clean jewelry but works as well as any other types of homemade remedy mentioned here. This good old remedy works pretty well on dirty and tarnished jewelry, like it does on any other item. This remedy is considered as ideal for jewelleries like pearls or turquoise which are soft and porous. Take 2-3 cups of water and warm them. Add this water to a vessel and also add 2-3 drops of dish soap. Water will definitely work fine for this remedy, but for even finer and better results, you can opt for baking soda or seltzer water which is sodium free. 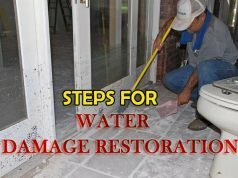 These liquids contain carbonation which can help get the dirt and grime away quickly. You can also make use of laundry soap, or detergent for this. Once the soap has been added, stir the solution to mix it well and add the grimy jewelry pieces to it. After soaking the jewelry for some time, wash them off with clean lukewarm water and then dry them off with a clean soft cloth. Before keeping away these products, do make sure to air dry them as it wouldn’t do them any good if soap residues remain stuck. You can do some wonderful things with vodka, besides drinking it of course. This can be your very personal homemade jewelry cleaner. You can so easily clean your diamond ring at home with this drink. Vodka is considered the best to clean off gemstones, especially crystalline ones. It is better to not try this remedy onto any other kind of gemstones. Only emeralds and diamonds will benefit fully from this home remedy. Few drops of this tasty drink helps clean off any kind of jewelry or glass. All you need to do is dip a clean and soft cloth in raw vodka and rub your gemstones with it. You can wipe away the dirt and grime from your jewelry in a few minutes and get them back to their usual shine. 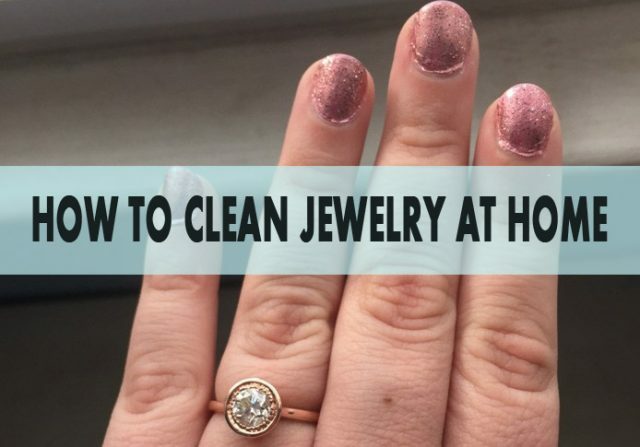 There is always an alternative for cleaning your jewelry by going to a professional jewelry cleaner, but the above home remedies will save you from the hassle.